DIY hacks for your kids’ nurseries are available in plenty online. Some are over the top and some are affordable. But simple is elegant and goes a long way! As they say, less is more. 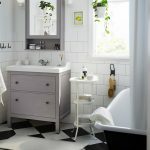 With IKEA’s fun and trendy range of products, here are some easy, affordable ideas to make your kid’s nursery look chic, trendy – and yes, even expensive! This is an affordable way to get the room looking classy, fun and bright. Play around with colors. Use a combination of paints to create a theme for your little ones. This is also a great way to avoid spending money on expensive wall art that your child may anyway outgrow in a matter of months. It can also be a fun family DIY activity to do over a weekend. Our selection of affordable wall shelves in varied dimensions are great for when your baby is still an infant. You can display the books you read to your baby and as your child grows you can either create a doll house out of it for girls or use it as a Lego shelf or a dinosaur display area for your little boy. Floating shelves are great for the nursery. If you feel you want to move them out of the nursery, they can easily fit anywhere else in the house too! Instead of buying fancy dressers in expensive baby stores that have limited years of use, you can buy a simple, cheap, easy to assemble dresser and use chalk paint on it and draw playful, kiddie patterns! You can also play around with stickers to give the furniture a sparkle. Another tip is to invest in a crib that converts into a day bed. It is more value for your money and has prolonged years of use. Buying multiple duvet covers is also a great way to change the look of the nursery with time, without buying new bedding often. IKEA carries some affordable and fun prints for curtains in the children’s department. This is a good way to dress up your baby’s room. 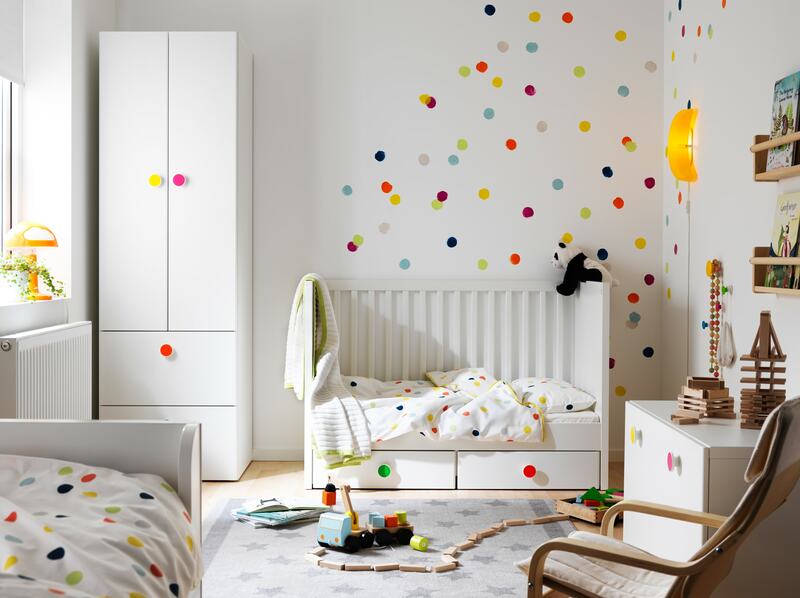 Tastefully decorating your child’s nursery is important for your kid’s health and happiness. Keep in mind all safety measures while doing so. Keep all electrical sockets plugged and ensure there are no choking hazards in the room. Make your child’s nursery a warm and nurturing place filled with love!